Width (Feet) Min: Ft. Max: Ft. Length (Feet) Min: Ft. Max: Ft.
Richly colored, brilliantly designed and attractively exotic, Indian rugs and rug weaving reached their pinnacle during the 17th century, when the Mughal Dynasty ruled India. Heavily influenced by Persian rug weaving styles, Indian rugs on sale at Esmaili Rugs and Antiques, Inc reflect the country's enduring appreciation for traditionally elegant motifs, naturalistic designs and high standards of skill and weaving craftsmanship. Although a decline in Indian rug making occurred after the demise of the Mughal Dynasty, the British revitalized the desire for Indian rug weavers to continue creating these beautiful, cherished works of textile art. 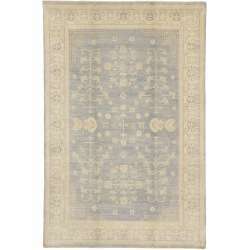 Our Indian rugs on sale offer finely-knotted examples of classical Persian and Indian designs infused with subtle yet distinct color palettes meant to address European preferences for home décor. Some of our most popular Indian rugs on sale online are Mughal carpets featuring elegant floral themes, stylized animal subjects and artistic forms of naturalistic images. Woven on silk or cotton foundations, Mughal rugs seize the attention with skillfully depicted tigers, cheetahs and other animals native to India enhanced by idiosyncratic shades of reds and blues. Organic dye colors illuminating our discounted Indian rugs include mustard yellows, deep oranges, blacks, browns and verdant greens. Carefully crafted borders make up the perimeters of antique and vintage Indian rugs characterized by darker colors that offset the entire rug like classical painting frames. Throughout India's rich and fascinating history, rug weavers have continued to evolve in their craft and are now world famous for their incredible weaving skills and exquisitely created carpets. 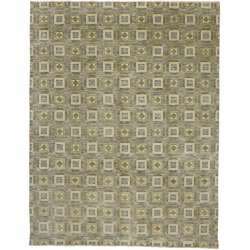 Our Indian rugs on sale represent some of our most popular and desired rugs sought after by architects, high-end interior designers and rug enthusiasts wanting to expand their collection with the most beautiful Indian rugs for sale online. Right now, Esmaili's is offering a gorgeous selection of discounted Indian rugs you won't find anywhere but in our gallery of vintage and antique Indian carpets. By offering exotic Indian rugs on sale, we give our much-appreciated customers and newcomers to the world of vintage rugs a chance to own a rare and beautiful work of art they can actually touch, admire, display and enjoy for many years to come. 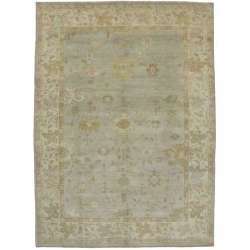 We welcome questions about our vast rug collection as well as our discounted Indian rugs online. Located in the Dallas Design District, Esmaili Rugs and Antiques can be reached at (214) 651-7847.